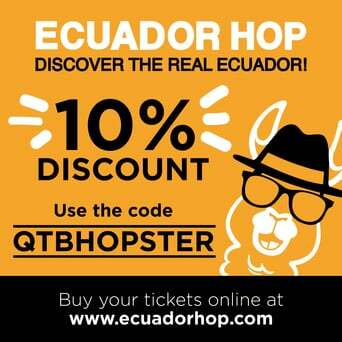 23 May Let’s go to Otavalo! It was costumed by the Spanish conquerors to entrust the new urban settlements to a Christian saint, so that he would protect them and watch over them. For this reason, Saint Louis was designated this honorable duty in Otavalo. San Luis de Otavalo (Saint Louis of Otavalo) is one of the main cities in the province of Imbabura. The city is located 110 kilometers north of the city of Quito. It can be reached by taking the Panamericana Norte (E35) highway, and it is an approximately two hours drive north. The trip will show you fascinating landscapes of the northern mountain range. You will also have the opportunity to make stops at attractive places, such as: the Quitsato solar clock, which is a unique structure in the world, built on the point where the equatorial line passes by. 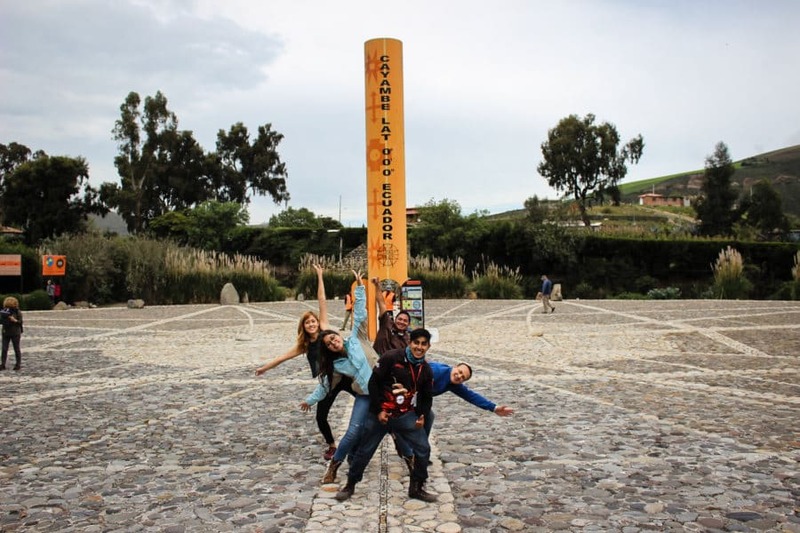 Here, you will have the chance to feel the northern and southern hemispheres under your feet at the same time. The solar clock is a tourist site and also serves as a cultural research and management project, which is administered by the same people from the community of Quitsato. In this site, they will show you several experiments in physics, geology, geography and astronomy, and they will share with you their ancestral knowledge. You will be able to get an official stamp for your passport. 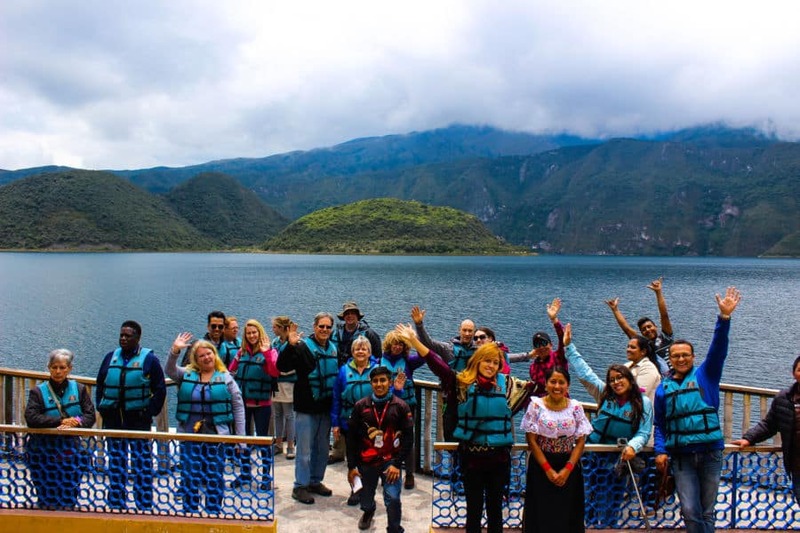 Another “must see” stop for all those good travelers and curious adventurers is the site-view of Lake San Pablo, the largest in Ecuador, whose northern border lies the imposing Taita Imbabura, an ancient and serene volcano that watches over all the events in the province. 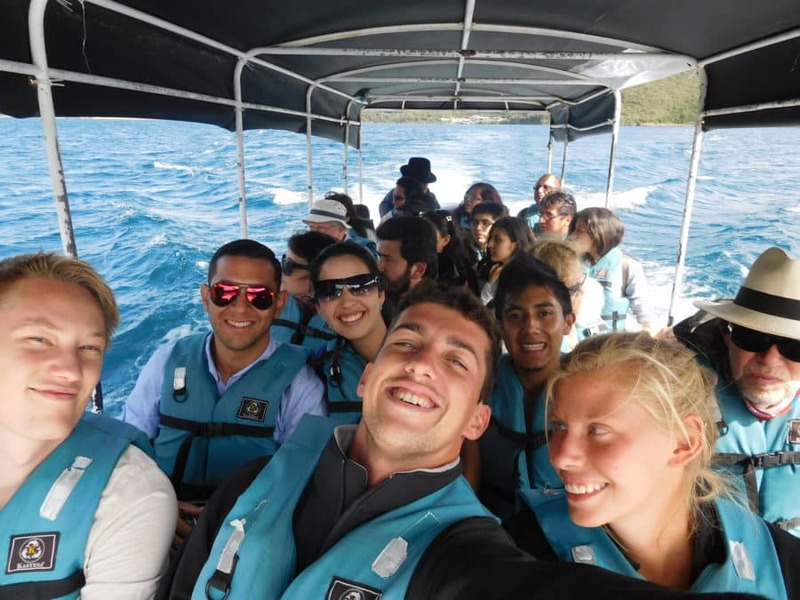 If there is anything that should be highlighted above all things and attractions anywhere in Ecuador, it’s her people; and, the city of Otavalo is a good example of that. People will open out in kindness and attention to create a warm, friendly environment full of objects for you to admire because the Indian market is full of colorful stalls with handmade crafts made by the people of this town. Imagine that you pour cream over a hot cup of coffee, fills it up and spills over the edge down the cup to the plate on which it sits and begins to fill it; in the same way the market overflows every Saturday and the surrounding streets are flooded with more than those that the block destined to the commerce can include. Thus, the city lives. 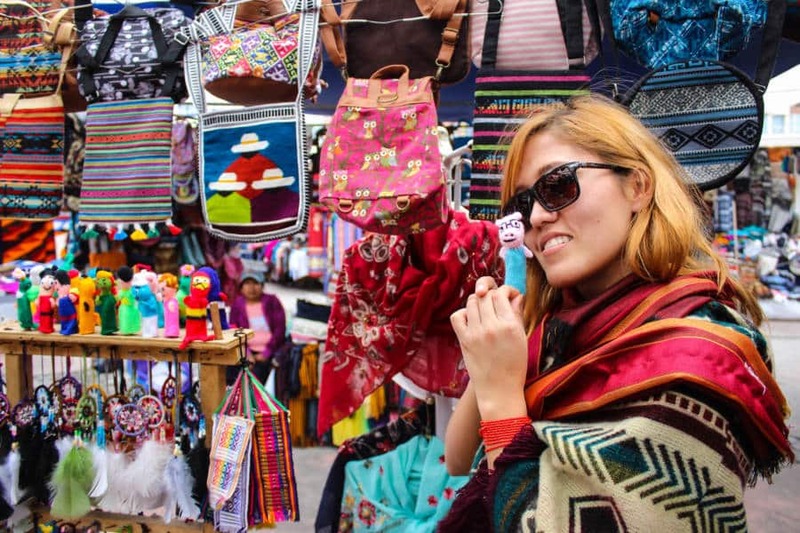 The city of Otavalo is famous for its textiles like: ponchos, coats, hats, tapestries, glove bags… all made with sheep’s wool; leather jackets and wallets; and blouses of white thread with rainbow embroidery. Be surely to spend a couple of hours to investigate everything you can find. Just as the city’s ancestors had places for commerce, they also located sacred spaces offered by Pacha Mama, the Mother Earth, the giver of life. 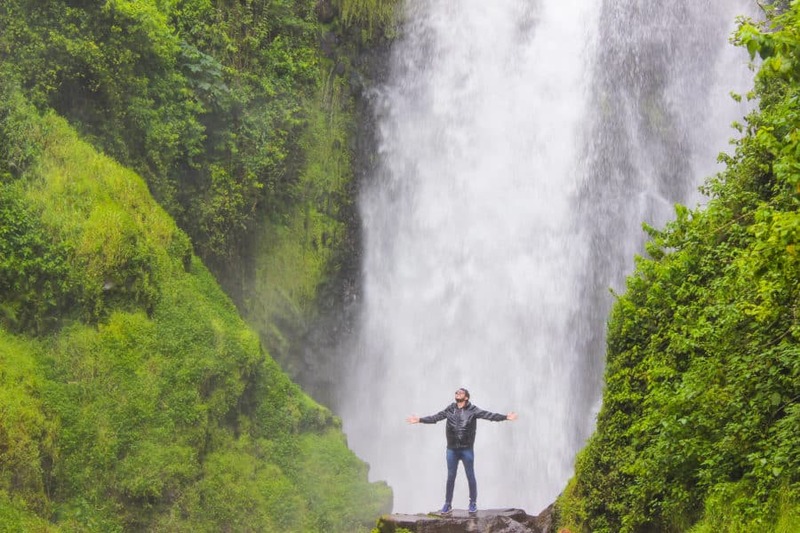 One of these sacred places in Otavalo is the Peguche waterfall whose water that plummets from thirty meters is destined to purify and renew the body and spirit of the visitor. A must-go place during the trip is the Lagoon of Cuicocha: is an ancient crater filled with the thaw from the Cotacachi volcano. The lagoon offers the opportunity to surround the border of the pair of islands that grew in the center in the form of emerged lands separated by a mirror. 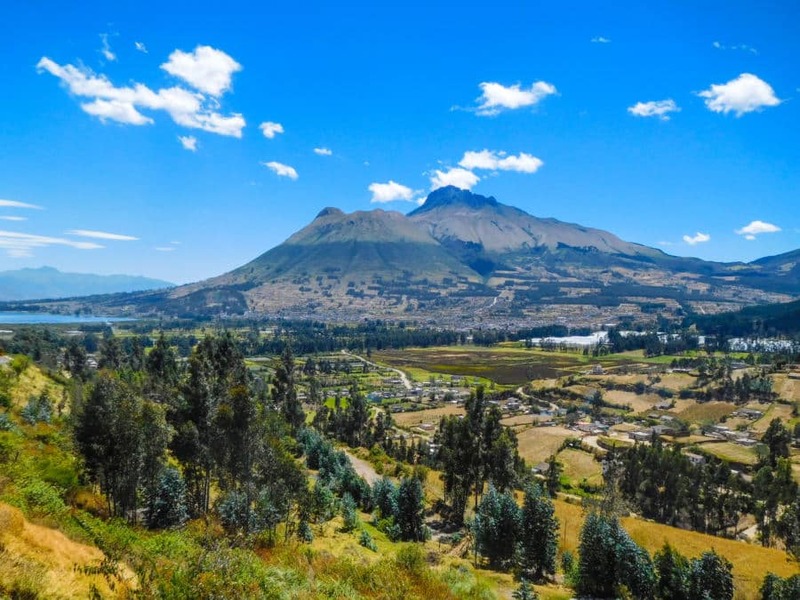 Imbabura is a province that will make you fall in love with its landscapes and its history before the 16th century that has been preserved by the oral tradition, customs and mythical religiosity of the people. Have a great trip. Arrive safe. Come back well.